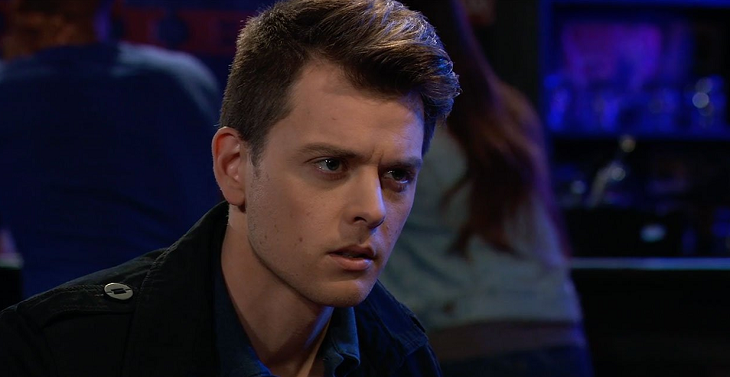 General Hospital (GH) spoilers tease that Michael Corinthos (Chad Duell) will put two and two together about something this week. Michael is involved in a couple of important storylines that could overlap, so it could be about either, but the one with the most focus right now is Kristina Corinthos-Davis’ (Lexi Ainsworth) involvement in the Dawn of Day cult, so it more likely involves that situation. General Hospital viewers know that Michael and Detective Harrison Chase (Josh Swickard) have been in a little friendly competition over Willow Tait (Katelyn MacMullen), even though Michael seems to be hitting it off with Sasha Gilmore (Sofia Mattsson). Chase and Willow recently “sealed the deal” so that might be the two and two that Michael puts together, that Chase and Willow are now a couple! Michael may also come to the realization that Shiloh Archer (Coby Ryan McLaughlin) might be Willow’s baby’s father, after getting an update from Jason Morgan (Steve Burton) along with his mother, Carly Corinthos (Laura Wright) about Kristina. GH Spoilers– Does Michael Figure Out Shiloh Fathered Willow’s Baby? Jason might give details to Michael and Carly about the initiation ceremony and what is involved in it after he tells them he barely got Kristina out in time. Michael, of course, doesn’t know about Willow’s branding but does know she escaped from Dawn of Day, and she also fills him in on the loyalty pledge, and likely what is involved in it. General Hospital viewers know that Shiloh is going to wind up caught in a web, and possibly a web of lies of his own making; in the meantime, there is a whole host of Port Charles residents after him, nearly as many as Ryan Chamberlain (Jon Lindstrom) had ready to go gunning for him! Sonny Corinthos (Maurice Benard) is keeping his men very busy watching for Ryan who is probably still alive, and trying to take down Shiloh at the same time; these are two situations that the police’s hands are tied in and Port Charles citizens will have to step up and protect themselves in. Stay tuned to General Hospital and keep checking General Hospital spoilers frequently for all the latest news, developments and spoilers!